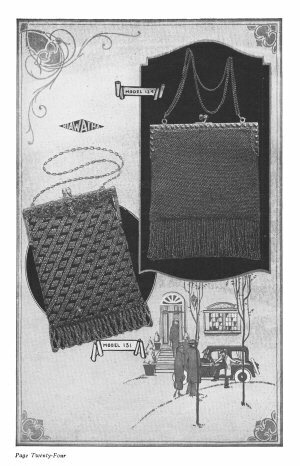 A charming Collection of Modern Beaded Bags, Combining simplicity of Design, with smart and refined appearance. 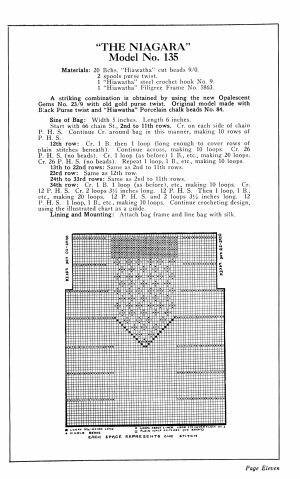 Complete and simple directions for making with photographs and charts. 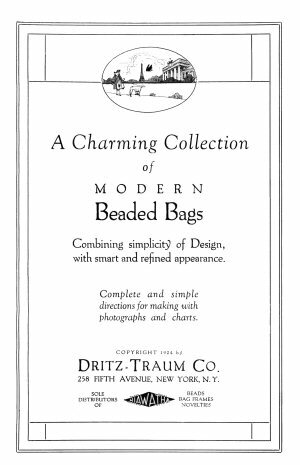 New York, Dritz-Traum Co., 1924, 30 pgs. 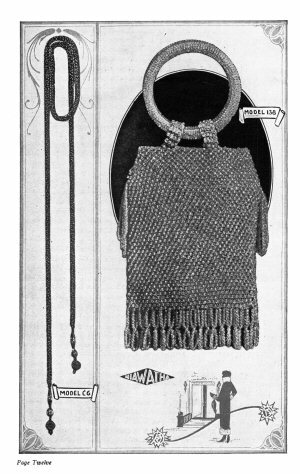 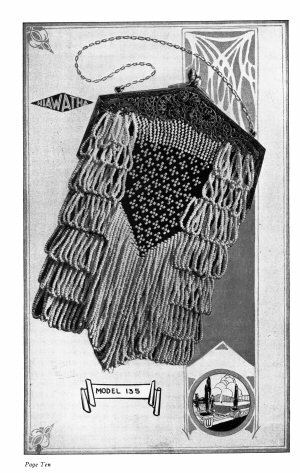 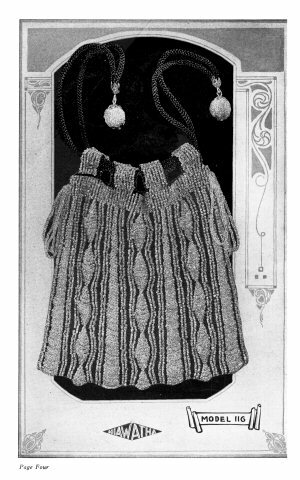 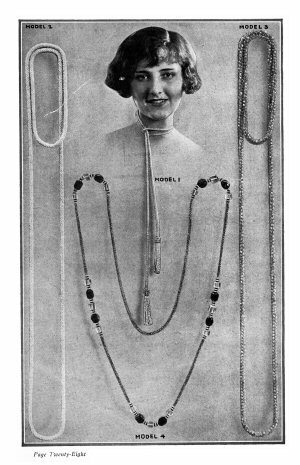 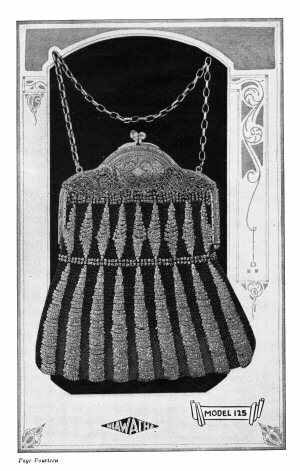 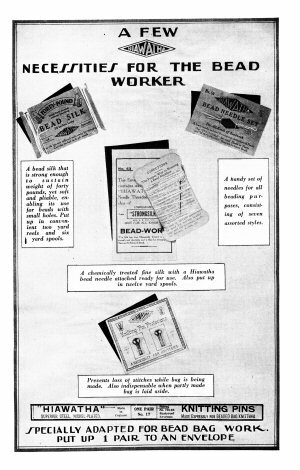 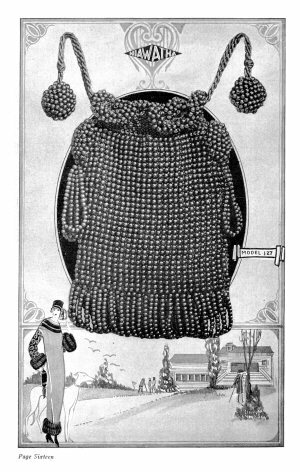 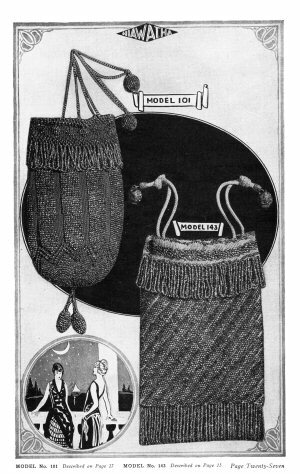 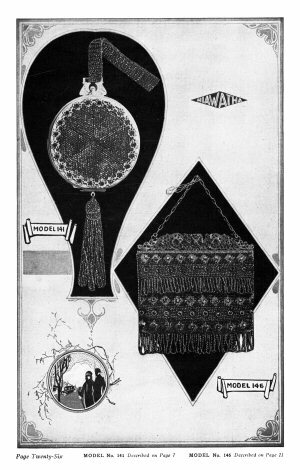 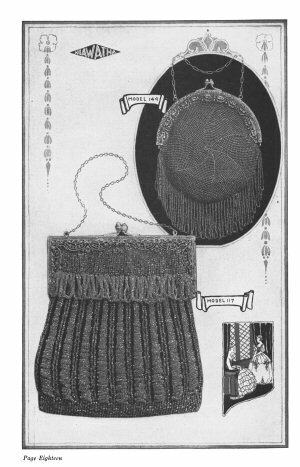 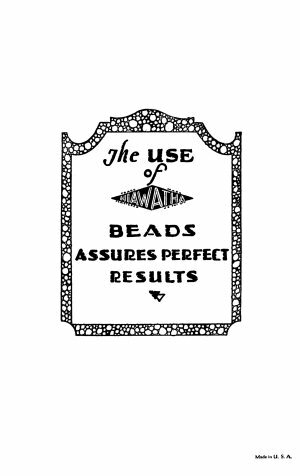 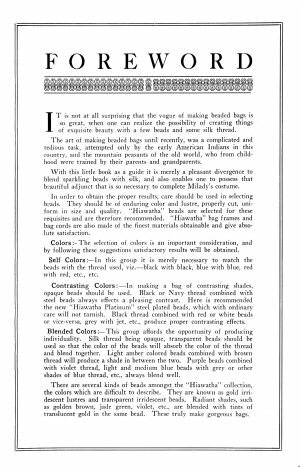 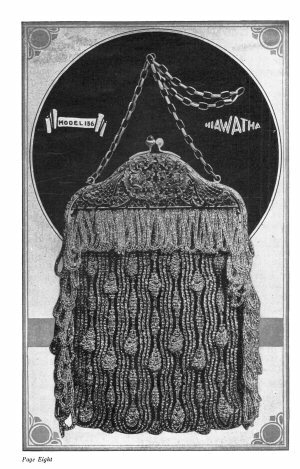 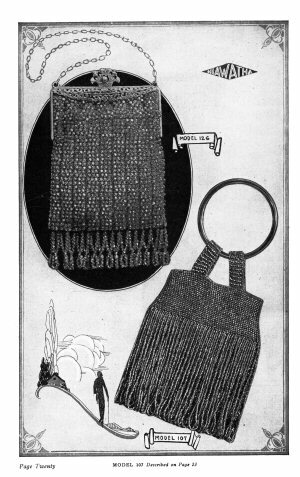 Classic 1924 booklet of beaded evening bags, and long cord/tassel designs (worn as scarf chains, necklaces or low belts - and very much coming back into vogue today). 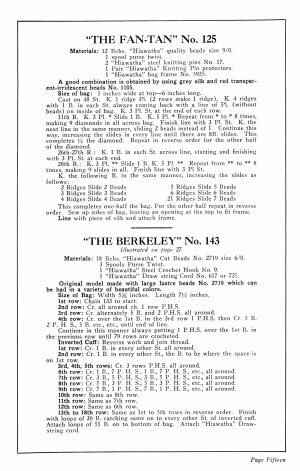 Twenty three models, with photos and descriptions. 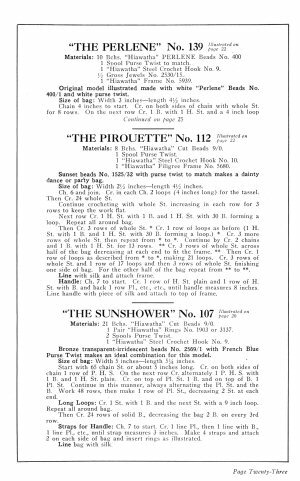 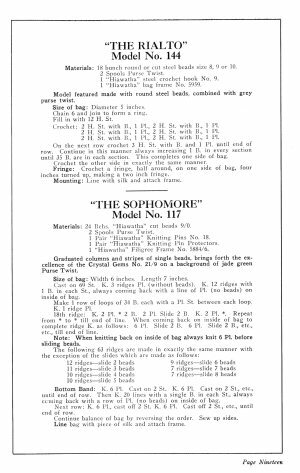 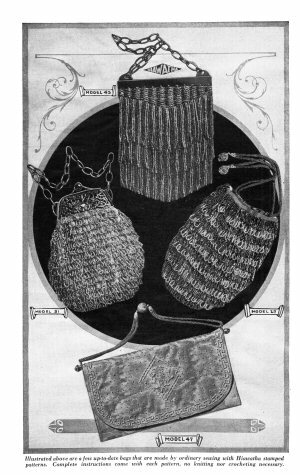 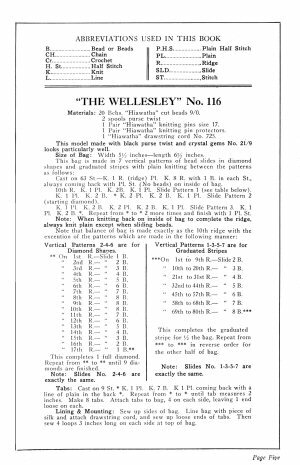 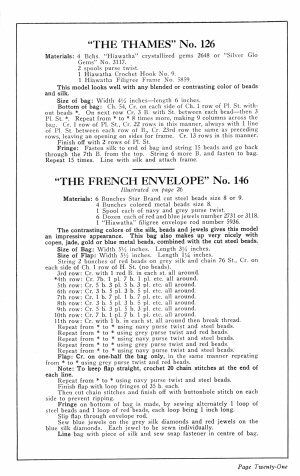 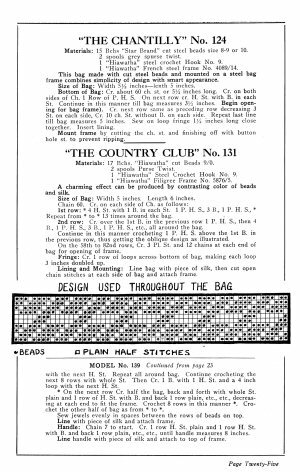 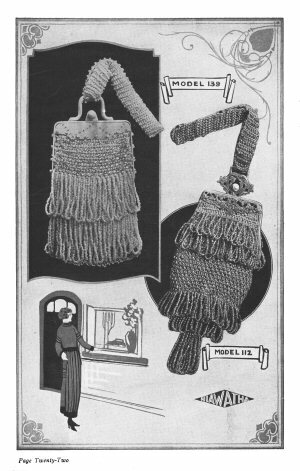 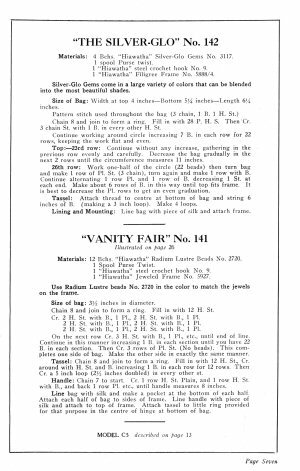 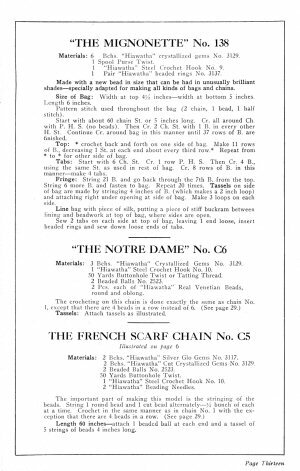 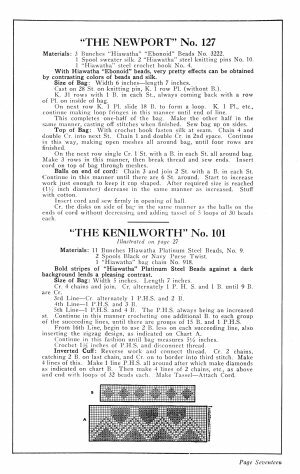 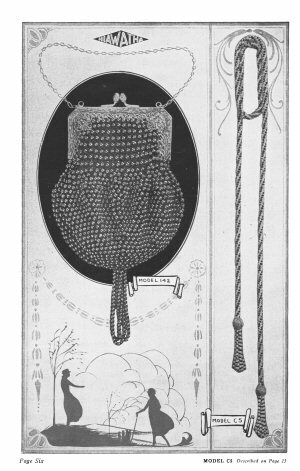 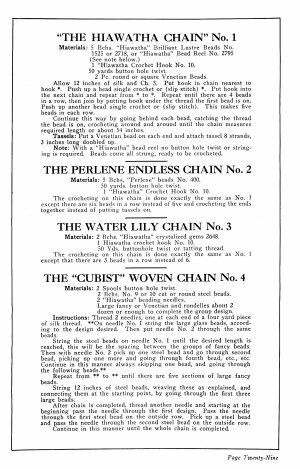 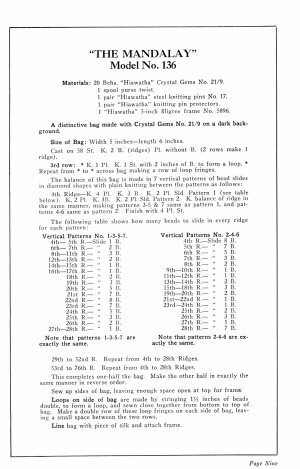 Instructions for knit and crocheted bags (crochet in American notation), some with purse frames or large wire loops as handles, some in drawstring style. 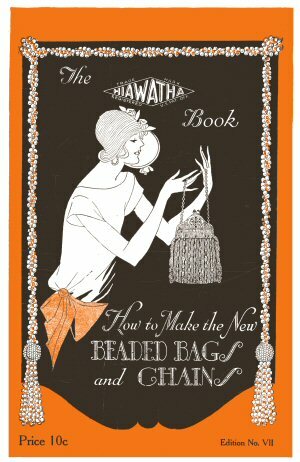 Fabulous designs, very useful book for historical costumers.